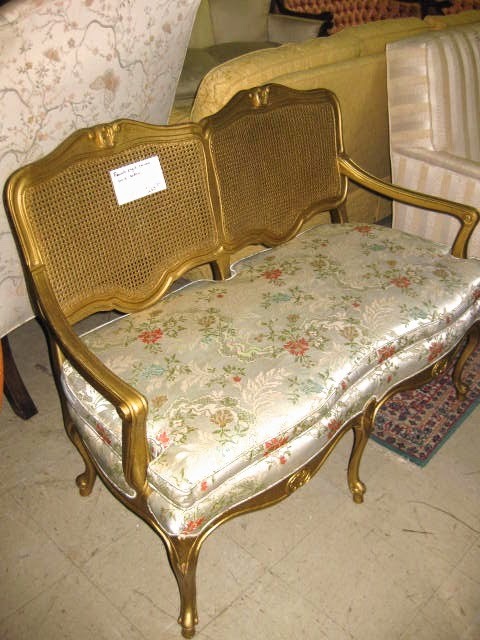 Thankfully Heather could see the potential in this fancy settee beyond its glitzy gold frame and dated floral motif. 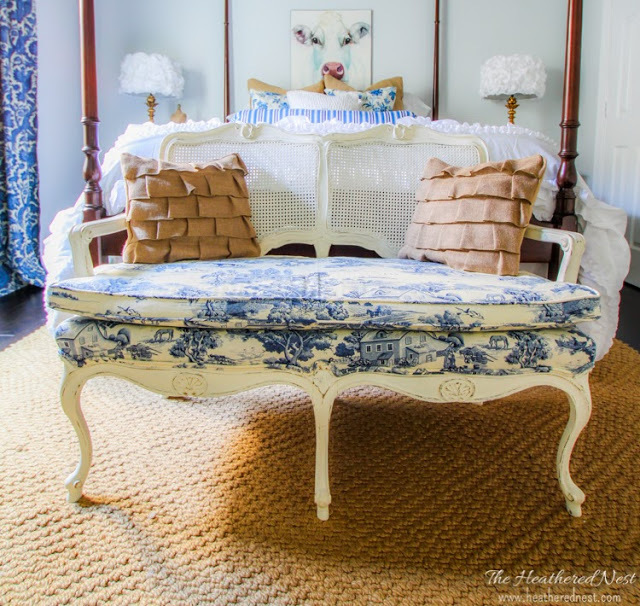 With distressed white paint and toile fabric, it became the perfect seat for her charming guest room. Visit The Heathered Nest for more details on this farmhouse-style settee makeover.